This delicate Jason Calming Lavender Body Wash is rich in natural oils making your bubble bath a foamy and luxurious treat. Containing only pure, carefully balanced organic ingredients, Jason cosmetics are totally free from parabens, Sodium Lauryl/Laureth Sulfates and Phthalates. Aqua (Water), Cocamidopropyl Betaine, Sodium Lauryl Sulfoacetate Glycerin, Lavandula Angustifolia (Lavender) Flower/Leaf Stem Extract, Aloe Barbadensis Leaf Juice*, Calendula Officinalis Flower Extract, Chamomilla Recutita (Matricaria) Flower Extract, Allantoin, Panthenol, Tocopheryl Acetate, Persea Gratissima (Avocado) Oil, Prunus Armeniaca (Apricot) Kernel Oil, Lauryl Glucoside, Stearyl Citrate, Sodium Chloride, Sodium Sulfate, Citric Acid, Benzyl Alcohol, Potassium Sorbate, Sodium Benzoate, Fragrance (Parfum), Butylphenyl Methylpropional, Citral, Eugenol, Hydroxycitronellal, Limonene, Linalool *Certified Organic Ingredient. 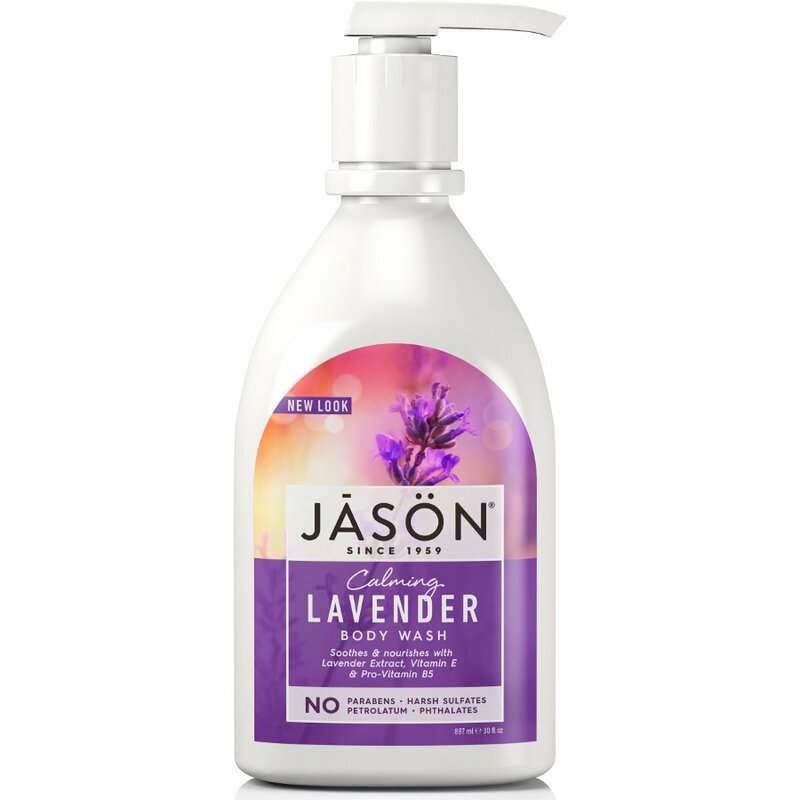 There are currently no questions to display about Jason Calming Lavender Body Wash - 900ml.